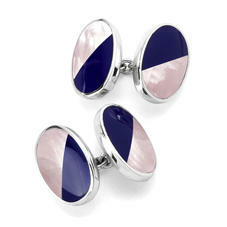 Focused around a contrast which emanates contemporary opulence, our Lapis Lazuli sterling silver cufflinks are a fusion of design and detail. As with each pair of Aspinal cufflinks, craftsmanship shines in the flawlessly inset stones and elegant silhouettes; discover the subtle decadence of our oval designs and the soft lines of our waves cufflinks. 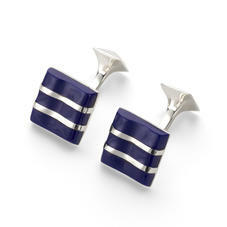 Sterling silver provides a distinctive frame for our square cufflinks while our barrel design harbours modern appeal. Underpin the luxury and store yours in a leather cufflink box. 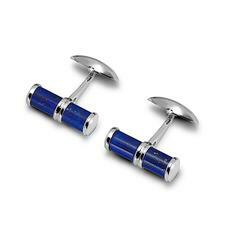 You will be spoilt for choice with our stunning collection of Luxury Gents Sterling Silver & Blue Lapis Semi Precious Cufflinks. 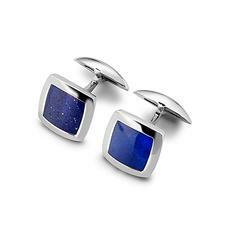 Our collection of Blue Lapis Cufflinks have been meticulously hand crafted in England and feature a variety of styles and finishes. They are all extremely distinctive, sophisticated, and oozing with quality... The perfect gift for the discerning man! 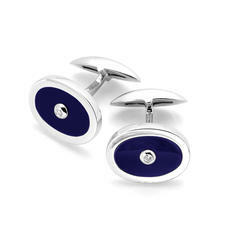 Every pair of cufflinks will arrive in an Aspinal signature jewellery presentation box.